By and large, the majority of ornamental lilies are a pretty tough bunch and able to cope with most of what the winter weather has to throw at it. 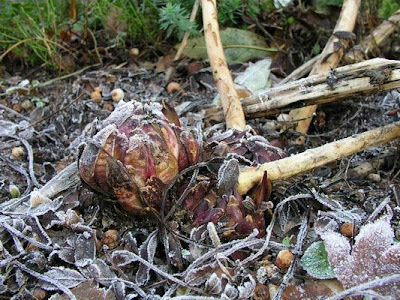 However, they can be prone to losses in cold wet conditions, especially those varieties that originate from mountainous regions, but with a little thought - and minimum of intervention – overwintering ornamental lilies is fairly straightforward. Winterising can easily coincide with propagation. Species such as Lilium lancifolium, L. tigrinum and L.bulbiferum, and their hybrids, will produce stem bulbils (baby corms) in the leaf axils or bulblets at the base of the old flowering stem. 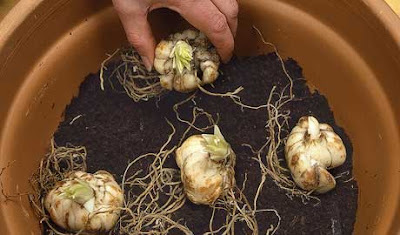 Once the stems have died back it is a perfect time to lift the parent corm at which point the bulbils or bulblets can be picked off and the parent bulb replanted. However, make sure that the parent bulb is planted in free draining ground otherwise it can easily rot off over the winter period if left dormant in waterlogged conditions. If you are planting lily corms into damp conditions or you live in an area prone to heavy rainfall over the winter period, it will be worth trying to improve the drainage of the soil by digging in plenty of horticultural grit, perlite or bulky organic matter. It may even be worth creating a low mound to plant your corms into to help keep them away from a high water table. You can even consider protecting the area around the bulb from heavy rainfall by covering them with a large cloche or ‘makeshift’ plastic tent. Species Lilies such as the Nepalese lily are particularly prone to this and are best potted on and brought into a protected cold environment where there is no chance of water reaching the bulb. 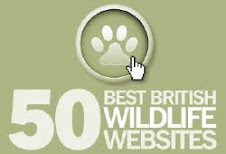 Strangely they will tolerate temperatures down to about minus 12 degrees Celsius, but in it native environment and water would be frozen, effectively creating a ‘dry’ environment! Although bulbous in character, i.e. the plant is produced from a swollen underground storage organ known as a corm, it is not a true bulb. Instead it is tight, concentric ring of succulent scales which are attached at their lower end to a basal plate..
Lily bulbs never really go dormant, and do best when out of the ground for as short a time as possible. If you've got the space, I would recommend potting the bulbs up right away. You can cram them in, bulb to bulb, you're just trying to keep the root system fresh and growing. You can store the pots in an unheated garage or cool basement until spring, then tease the roots apart and plant again. If you can't pot them up right away, get some moss peat, wet it and squeeze out as much of the water as you can. Dust the bulbs with a fungicide, then store the bulbs in the moss peat in an open container (which you will need to mist periodically to keep it barely moist) and store in the basement or garage until you can plant in the spring. It is possible to collect bulbils throughout late summer but only once the bulbils have naturally loosened from the parent stem. Collect them from the leaf axils of the lily stems by carefully picking them off. Insert the bulbils into pans of moist, loam based compost - such as John Innes ‘Seed and Potting’ compost – pressing them gently into the surface. Cover with grit and don't forget to label the variety before placing in a cold frame until the young bulbs develop. 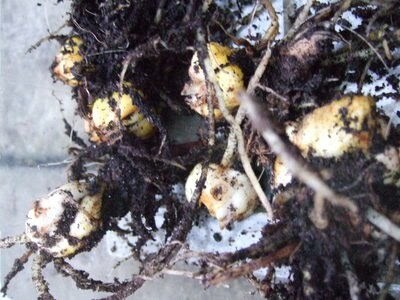 After flowering, lift the corm and dead stem – replanting the parent corm. Alternatively, leave the parent bulb in the ground and cut the stem directly above it to remove the bulblets. Plant the bulblets at twice their own depth into 13 cm pots of moist, loam-based potting compost. 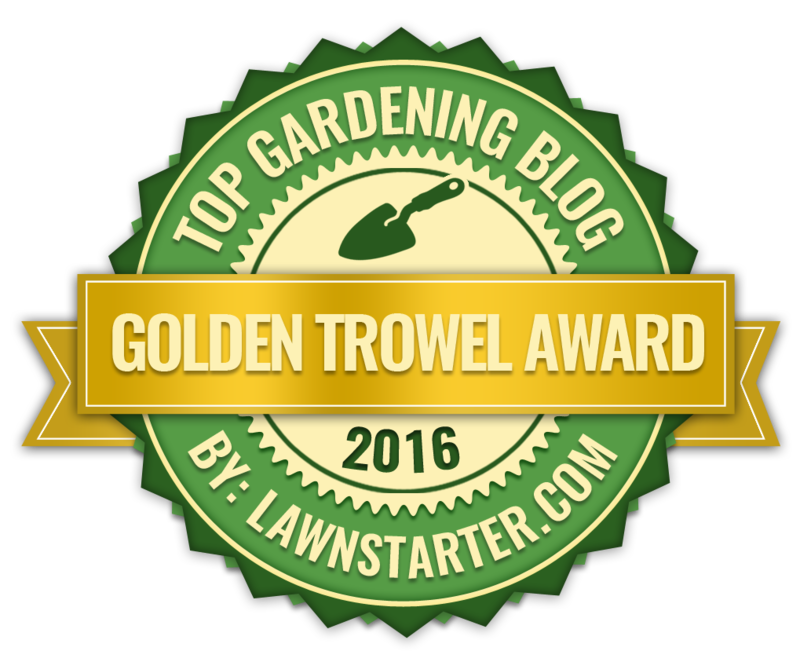 Cover with a layer of grit before placing in a cold frame until the spring. Don't forget to label the variety.